together with Aristides Logothetis, ARCAthens Founder and Executive Director. While our organization is making great advances, I want to take a moment to introduce you, in depth, to our Executive Director and Founder of ARCAthens, Aristides Logothetis. Aris and I met at a party given in honor of Judy Chicago in New Orleans back in 2001. I had just returned from spending the summer as the house guest of artist Lynda Benglis in Kastellorizo, and Aris and I hit it off right away, chatting about Greece and art. We’ve since become good friends, and I want to share with you his “arc”, in order for us all to understand how ARCAthens has been in the making for over 20 years! Soon after his parents’ divorce, Aris moved to the Chicago suburbs with his mother, spending time after school in her clothes’ making workshop, occupying himself stitching and constructing fabric collages from throwaway remnants. As a teenager, Aris was educated by the Jesuits, but it was all perhaps a bit much: Teenage angst, coupled with his dispersed family’s complex negotiation between American, diasporic, and Greek cultures, during the Reagan 80s, yielded little freedom of expression for him. He moved to Boston to be closer to his dear and influential brother Aki, (a research scientist which Aris’ likens to his art practice: research with a different methodology), to attend college, but rebelled and dropped-out after his first semester, immersing himself in a journey of self-knowledge through punk-rock culture and art, specifically photography, graffiti, and assemblage. Above: Aristides, early years in Athens. 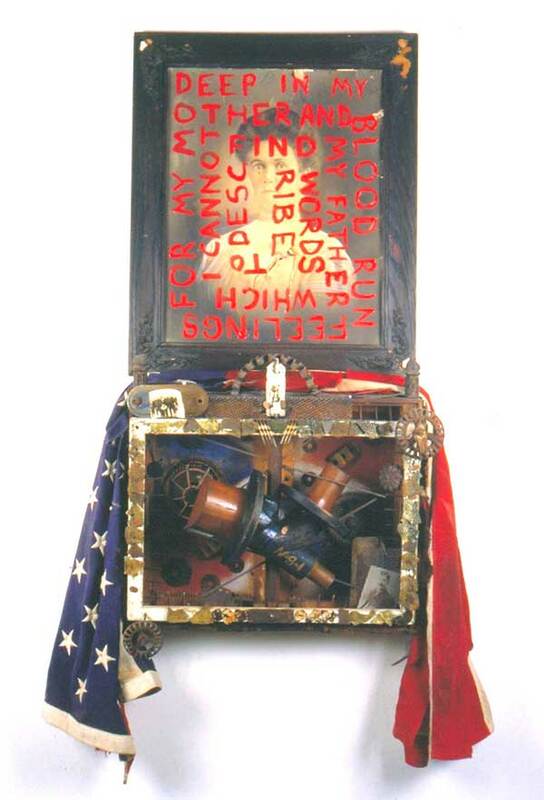 Right: Mother and Father, 1989, 24”x51”x12”, Mixed Media. Collection of the artist. In his 20th year, he curated his first exhibition, “Boston 1989”, in his apartment then called Gallery Schmallery, which then grew and moved to a big loft, with several subsequent exhibitions, yielding attention and praise from Boston’s art community and press. 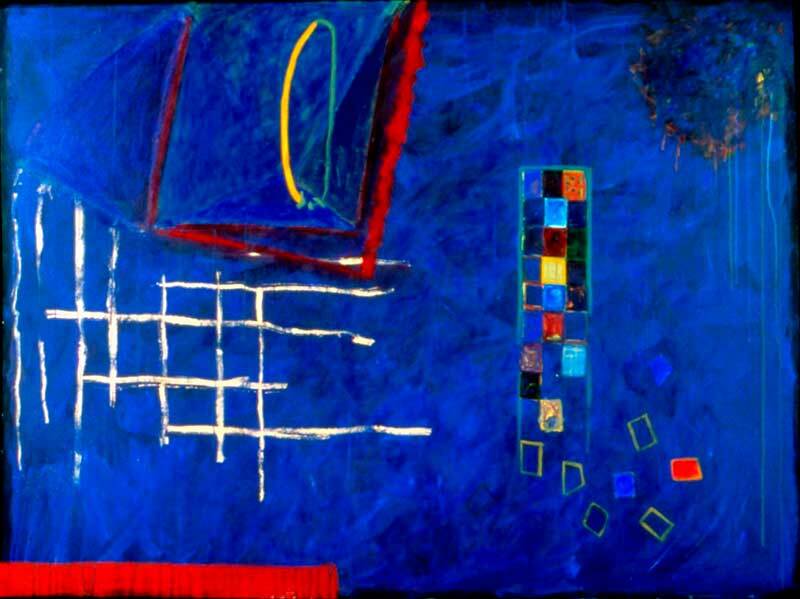 It was during this time that Aris met Elizabeth Stevens, a young painter at the time in Boston’s School of the Museum of Fine Arts (SMFA), who introduced him to painting. Aris’ art until then was mostly political, but he fell in love with the poetry of painting and decided to attend SMFA himself, where he was admitted as a second-year student based on the merits of his portfolio. As he delved deeper into painting language, art history, and formalism, Aris continued to curate exhibitions, including the little-known but significant and prescient “New Talent Exhibition” at the Institute of Progressive Art in 1993, co-curated with Carrie Trippe, which included work by unknowns, RISD student Kara Walker, SMFA student Ellen Gallagher, MassArt student Zesty Meyers, and Hampshire College student Danica Phelps, among others. It was also during his years in Boston that Aki moved to New York, and Aris began to get to know the city during his visits. During his studies at Tufts University and SMFA, Aris spent a semester abroad, at College Year in Athens (CYA), which he credits as very influential in witnessing his and his fellow students’ adjustment from foreigners to young Athenians, immersed in Athens and negotiating their studies between school and community. It was then that Aris and his friends—including current ARCAthens Assistant Director, Iris Plaitakis—noted, discussed, and developed the early ideas of the need for Athens to host an artist residency program. 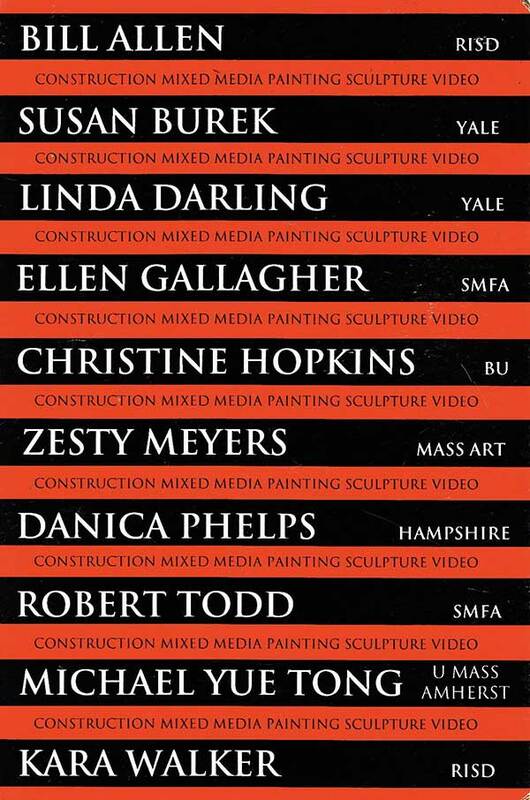 After CYA, Aris returned to Boston to complete his BFA from Tufts/SMFA, after which he moved to Truro in Cape Cod where he continued painting and exploring his medium. The artistic community and discourse in Provincetown helped Aris grow and prepare a strong body of paintings for his graduate school applications. Aris was admitted to the University of New Orleans’ (UNO) MFA program as a Fellowship recipient. He describes those years as some of the best in his life, having fallen in love with the city, but also enjoying institutional support to focus on his work. 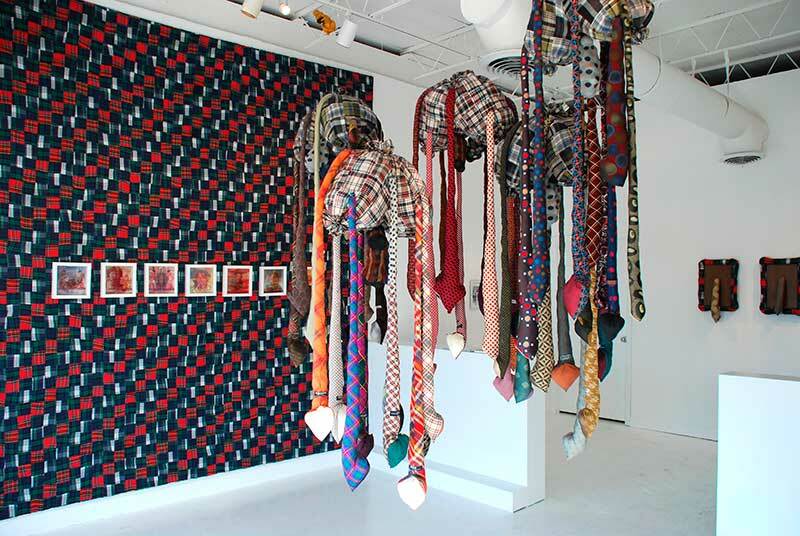 At UNO, Aris returned to photography and sculpture, choosing to explore various media, including fabrics inspired by his childhood, and challenging the singular focus expected of young artists at that time. 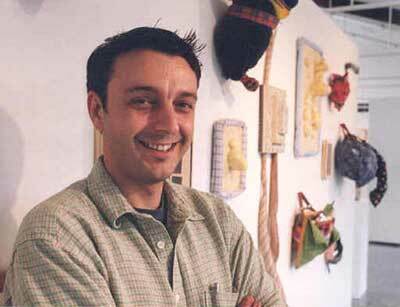 His graduate exhibition in 2001, μετα-Perceptions, was lauded and traveled beyond UNO to Delgado College, Duke University and the Schoolhouse Center for the Arts in Provincetown. Later I curated a one-person exhibition of his work with a publication at the Cue Art Foundation in New York. 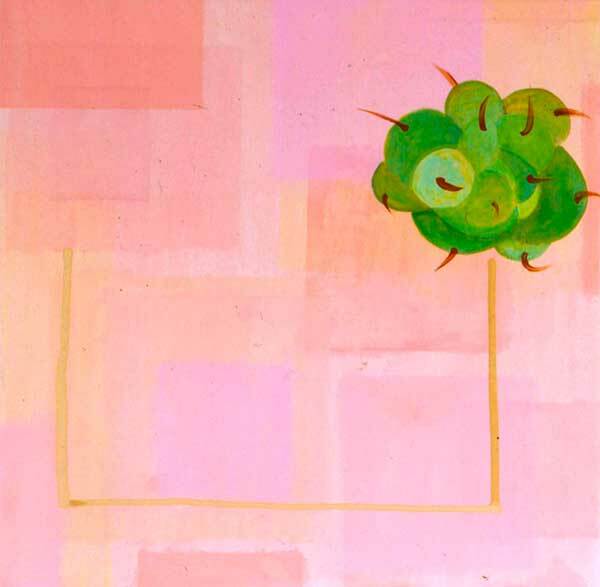 Left: Metro North, 1996, 18”x19”, Acrylic on Canvas, Collection Deb Klein. Above: Installation of μετα-Perceptions, 2001. Photograph by Glade Bilby. Aris moved to New York on 9/11. I remember this troubling period for all of us, and for Aris, the timing was an omen difficult for him to interpret. But he dug in, inspired by the times, and found a loft in The Bronx, settling into the big city. He worked as assistant to Tony Oursler, taught in public schools, was awarded two grants by the Bronx Council of the Arts, and, through the years, participated in many exhibitions, including at the Metropolitan Museum of Art and a solo show at The Bronx Museum in 2015, which resulted in reviews and mentions in The New York Times, The New York Observer, the New York Sun, and others. Meanwhile, Aris continued to curate exhibitions including “An Other Hero”, with Miguel Luciano and Wanda Raimundi-Ortiz, at Haven Gallery, as well as the important “Katrina and the Waves of its Diaspora”, a show of New Orleans artists surviving Katrina at the Bronx River Art Center which also traveled to The Woodlands in Texas. 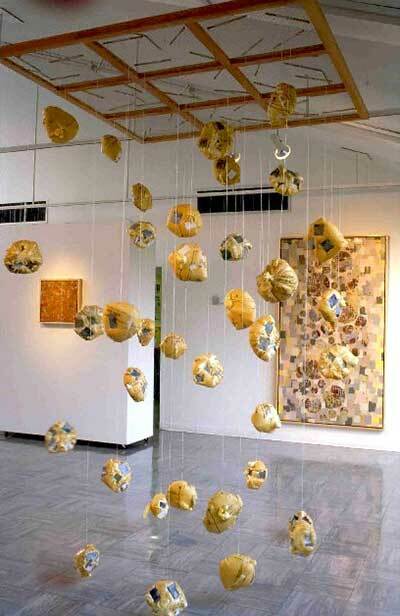 Above: Installation of μετα-Perceptions, 2001 at the UNO gallery. Photograph by Glade Bilby. Left below: Solo show at the Bronx Museum, “Craft and Colony” in 2015. Photograph by Paul Fearon. 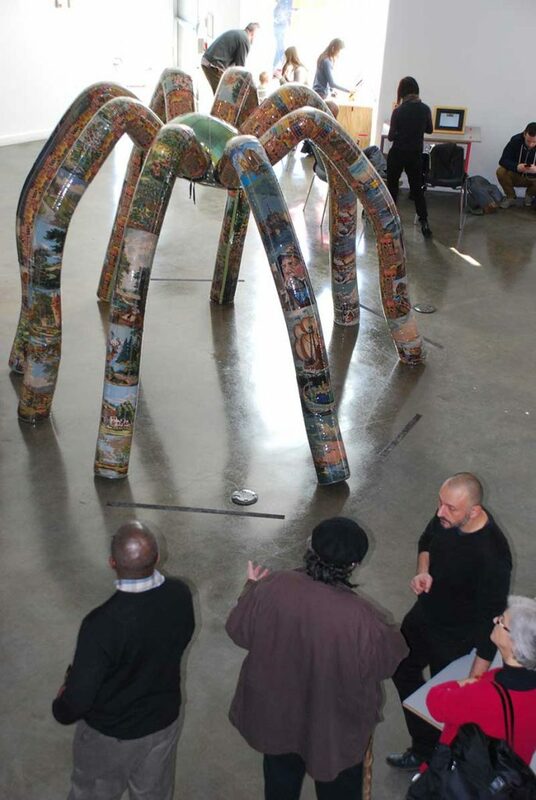 This rough timeline gives you a scope of Aris’ passion and devotion to his craft, his scholarship, and the art community in general, but, most importantly, I should mention, that during these years, Aris participated in three residency programs (Cue Art Foundation in New York, Austria, Jamaica), which were insightful experiences for this bi-cultural artist. He relayed to me how much he loved the experience of being immersed in another culture and landscape, and how constructive and efficient it was towards his growth and productivity. I knew Aris was interested in residencies, because early in our friendship he had shared with me his shock and lament of the lack of a proper residency program in Greece. As a matter of fact, I remember Aris’ excited return from his residency in Innsbruck in 2001, where he was considering starting a residency program with his friends in Athens, and his subsequent reluctant acceptance of our mutual good friend curator Dan Cameron’s good advice, who wisely warned him to focus on his studio, and not take on such an ambitious and challenging endeavor. This residency was a profound experience for Aris. Not only did he create a strong body of photographs and paintings, he also directed his first documentary. 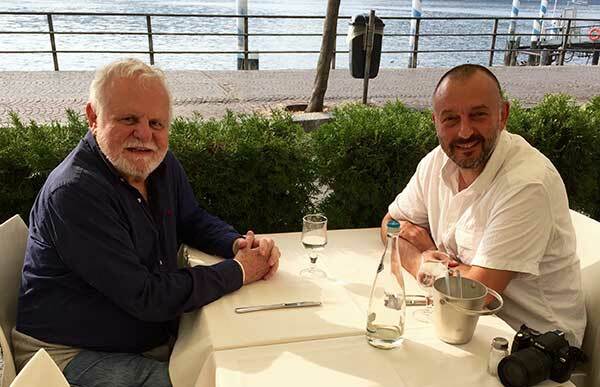 I was very pleased with his progress, and I remember our discussion during our visit in Como, where he shared with me his latest inspiration over lunch. 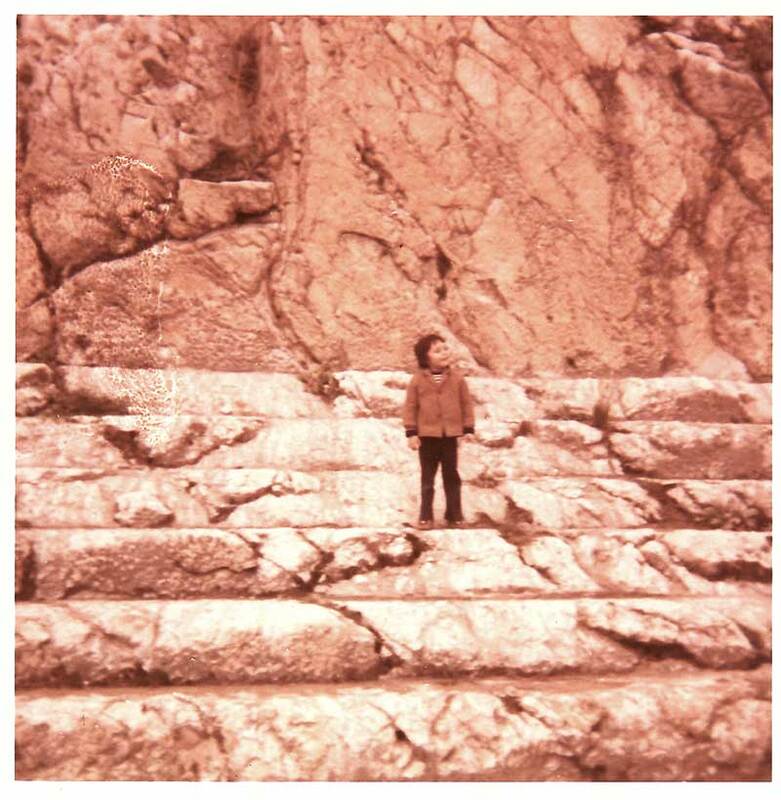 As Aris’ mother was ill, he took a couple trips to Athens during his residency. During those trips he was both exhilarated by the growth of the Athenian artistic community’s discourse, as well as despondent over the economic crisis. Additionally, he was troubled by the ongoing lack of a residency program. He felt a renewed urgency and was considering, once again, devoting himself to establishing such a program in Athens. While traveling on the road we discussed the possibility at length. After considering it carefully, I decided to encourage Aris to proceed with his unflagging passionate dream. 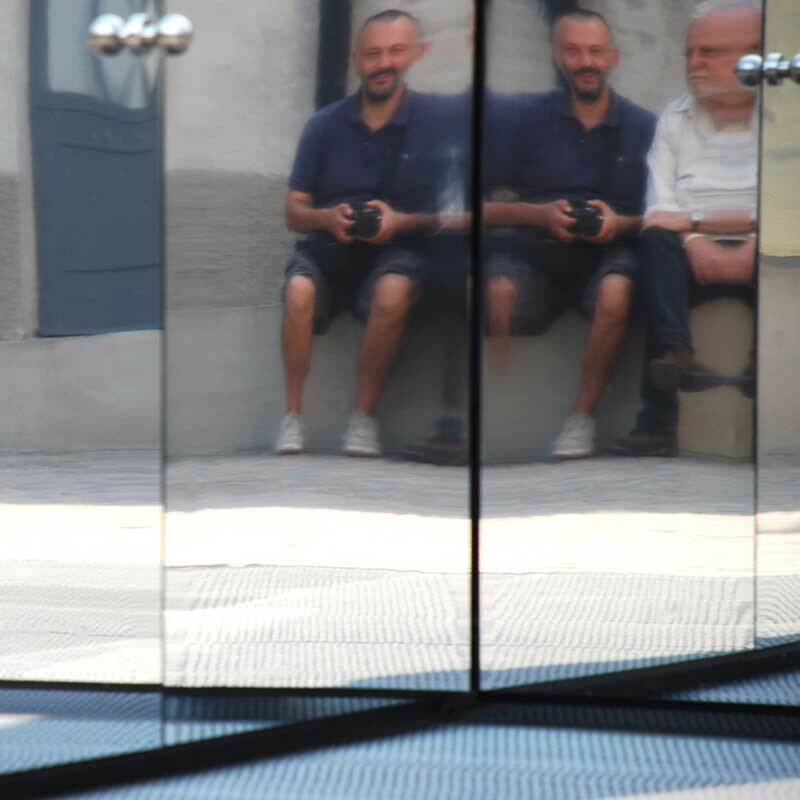 Most importantly I assessed his accumulated experience both as a member of the art community (curator, teacher, administrator), and as an exhibiting artist who had himself enjoyed and understood the gifts and complexities surrounding a residency experience. I felt he was most qualified to launch into such a meaningful and much needed project, and I’m very pleased and proud to report to you, he has proven me correct. Our lunch in Como was at the very end of September 2016, and now just two years later with the authorization of two established United States and Greek governments’ non-profit organizations, (ARCAthens Inc., based in NYC, and ARCAthens AMKE, based in Athens), Aris and the board are thrilled to announce our first Pilot Program. In the Spring of 2019, our inaugural venture will send to Athens two very talented Fellows: Cullen Washington Jr. (Visual Art Fellow) and Larry Ossei-Mensah (Curatorial Fellow)! Please join us in support as we launch our first activity and work towards establishing our ambitious, ongoing core program!